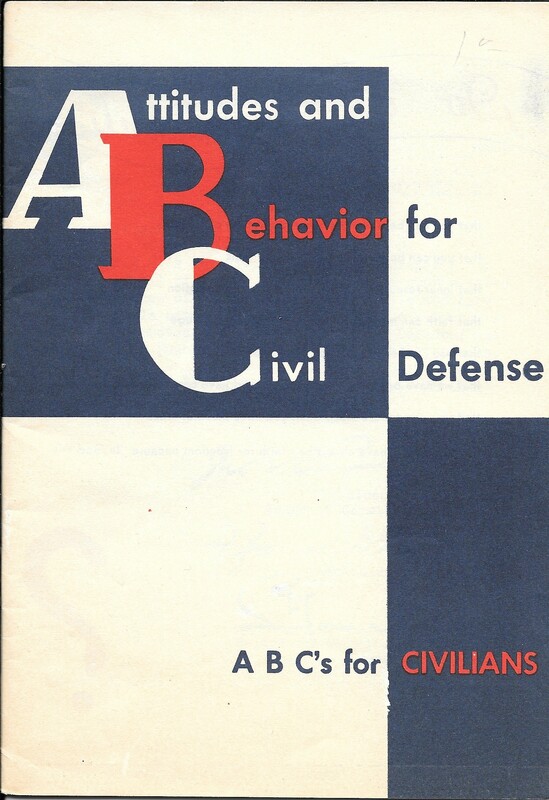 ABC for Civilians was published by the Office of Civil Defense in 1951. 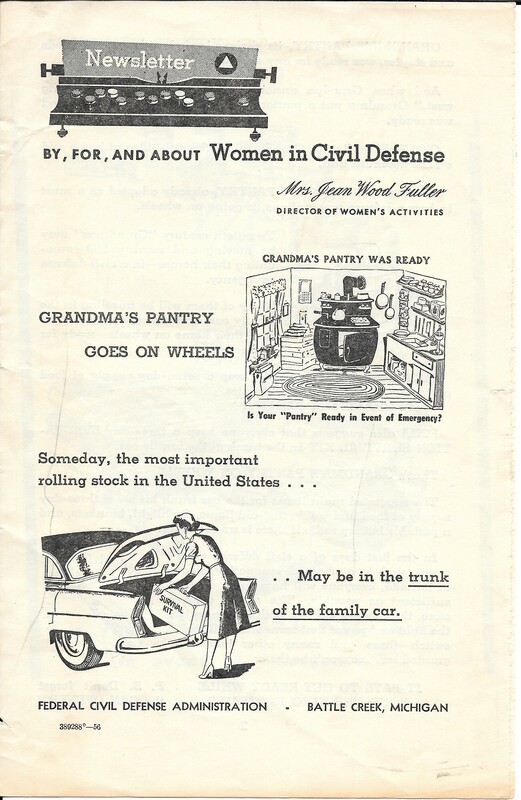 It was written by a committee of educators from Public and Parochial Schools for use in public schools. 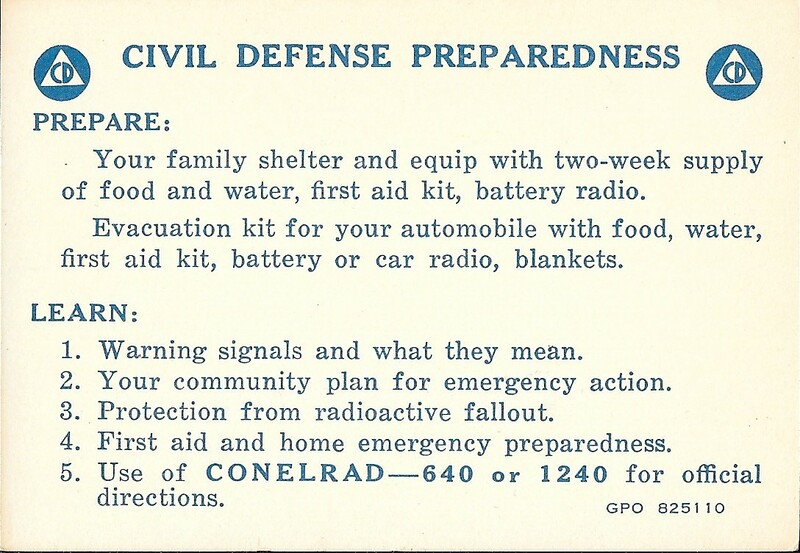 This pamphlet from the Federal Civil Defense Administration (FCDA) was published in 1956. 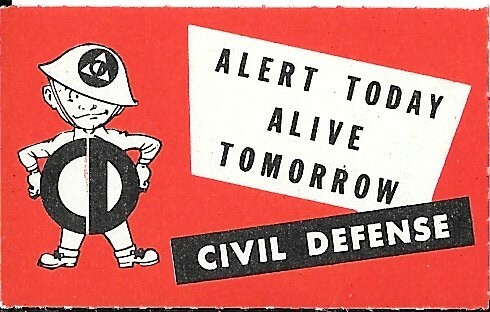 It is from and geared towards Women in Civil Defense. It covers the necessities to pack into your car in case of an emergency evacuation. 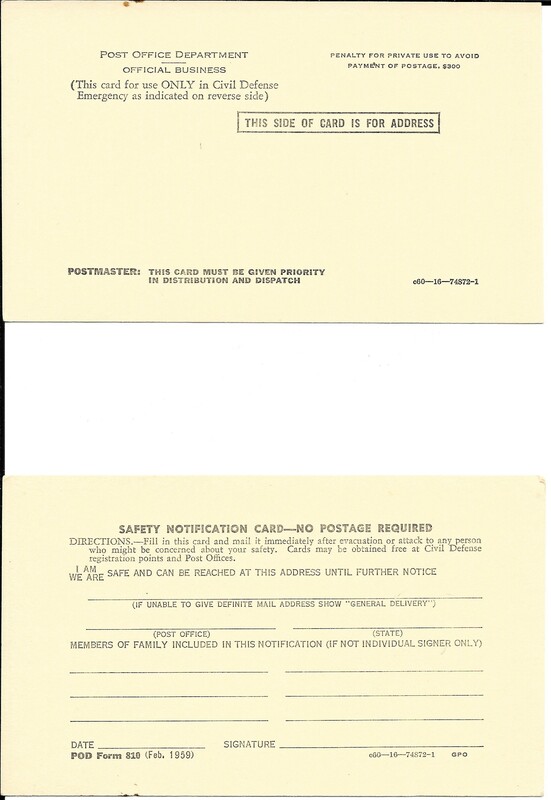 Safety Notification Card POD Forms 810 (Feb 1959). 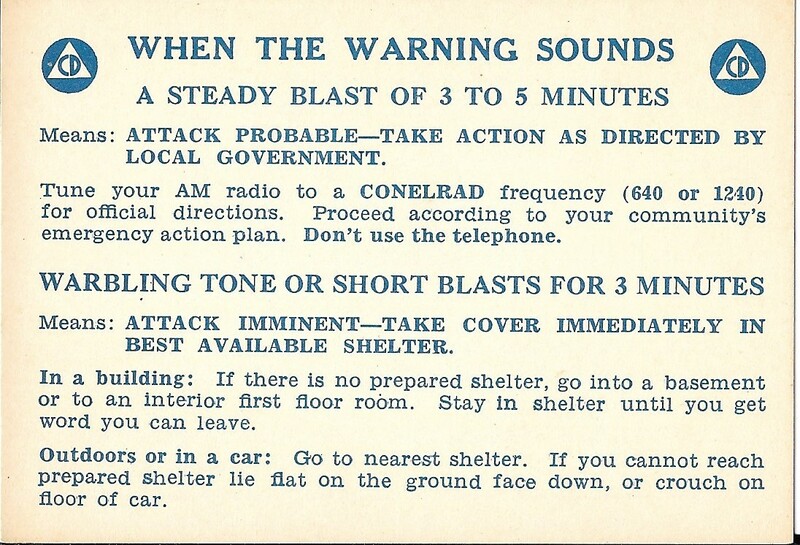 They were supposed to be used after a nuclear attack to inform any relatives or loved ones that you were safe. These were found in an abandoned store in Tarkio, Montana in 1982. 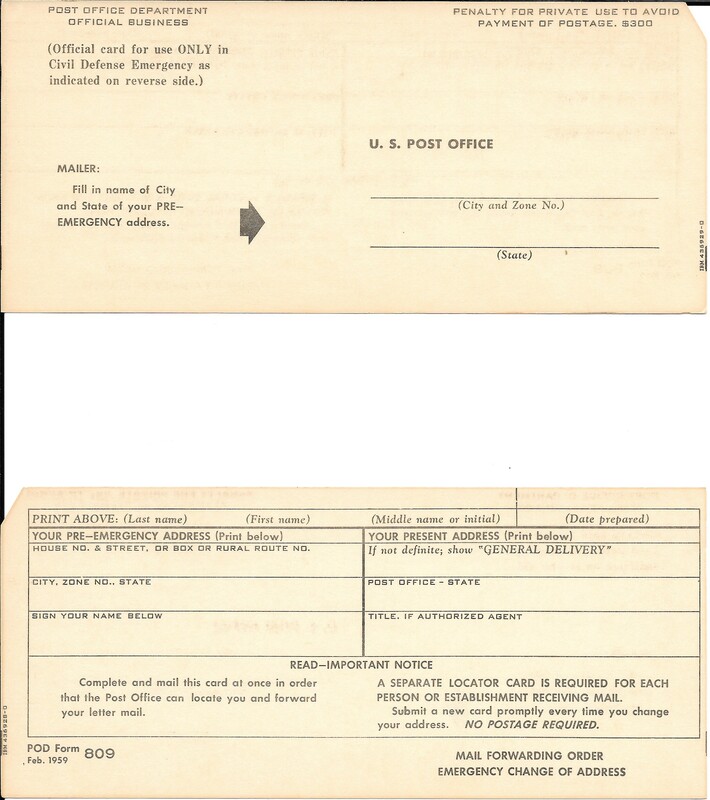 Front and back are shown.